On Thursday, May 2, at 5:00 pm, please join us for the annual Academic Convocation on the Holocaust when UCLA Professor David N. Myers will present "Mass Displacement in the Mid-Twentieth Century: A Comparative Look at Europe and the Middle East." The Convocation will be held in the Doris and Simon Konover Auditorium in the Dodd Research Center on the Storrs campus. It is made possible by the I. Martin and Janet M. Fierberg Fund that supports lectures at the Center for Judaic Studies and Contemporary Jewish Life. Co-sponsors include the American Studies Program, the History Department, the Human Rights Institute, the Humanities Institute, the Department of Literatures, Cultures, and Languages, the Middle East Studies Program, and the Thomas J. Dodd Research Center. Attendance qualifies for honors credit. For additional information, or if you require an accommodation to participate, please call 860-486-2271 or email pamela.weathers@uconn.edu. David N. Myers is the Sady and Ludwig Kahn Professor of Jewish History at UCLA, where he also serves as the director of the UCLA Luskin Center for History and Policy. 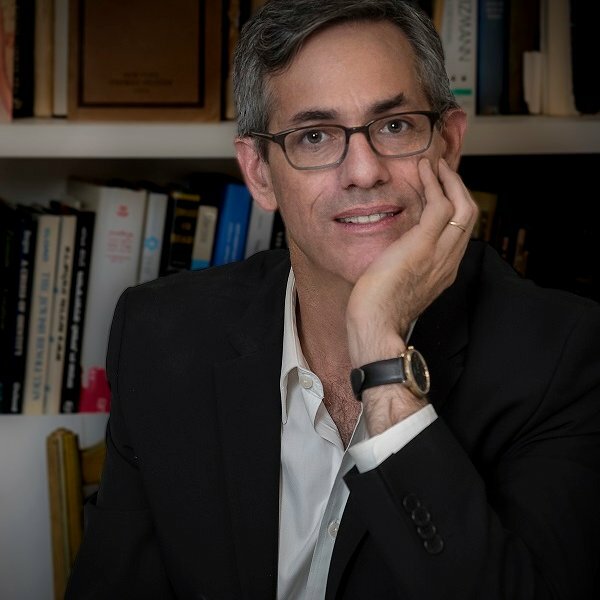 An alumnus of Yale College (1982), Myers undertook graduate studies at Tel-Aviv and Harvard Universities before receiving his Ph.D. with distinction in 1991 in Jewish history from Columbia University. He has written widely in the fields of Jewish intellectual and cultural history. His books include Re-inventing the Jewish Past (Oxford, 1995), Resisting History: The Crisis of Historicism in German-Jewish Thought (Princeton, 2003), Between Jew and Arab: The Lost Voice of Simon Rawidowicz (Brandeis, 2008), Jewish History: A Very Short Introduction (Oxford, 2017), and The Stakes of Jewish History: On the Use and Abuse of Jewish History for Life (Yale, 2018). Myers has also edited or co-edited nine books, including most recently The Eternal Dissident: Rabbi Leonard I. Beerman and the Radical Imperative to Think and Act (California, 2018). At present, he is completing a monograph, with Nomi Stolzenberg, on the Satmar Hasidic community of Kiryas Joel, New York. Myers is Board President of the New Israel Fund. From 2017 to 2018, he was President/CEO of the Center for Jewish History in New York. 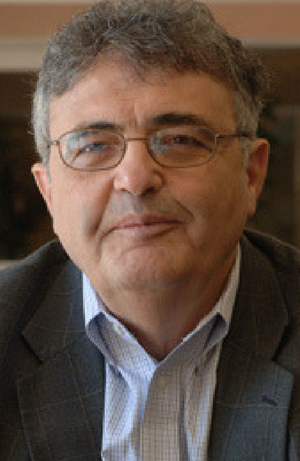 For ten years, he served as Director of the UCLA Center for Jewish Studies (1996-2000, 2004-09, 2010-11). Myers has taught at the École des Hautes Études en Sciences Sociales (Paris) and Russian State University for the Humanities (Moscow). 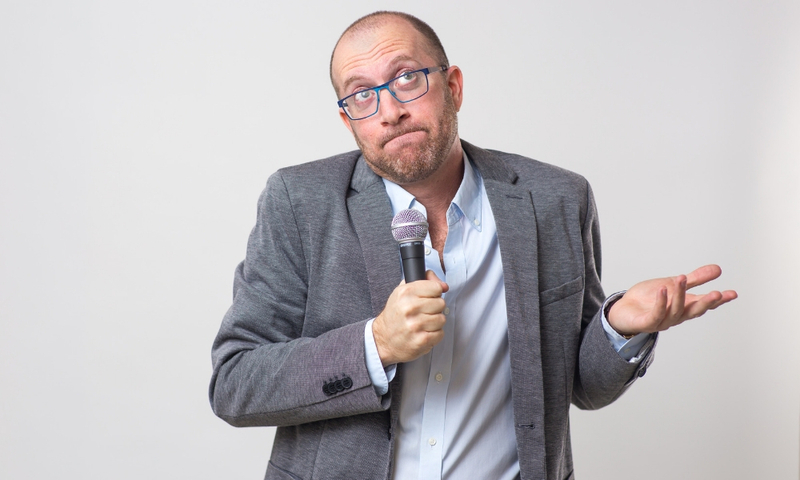 He has received fellowships from the Leo Baeck Institute, Fulbright Foundation, Lady David Trust, and the Memorial Foundation for Jewish Culture. 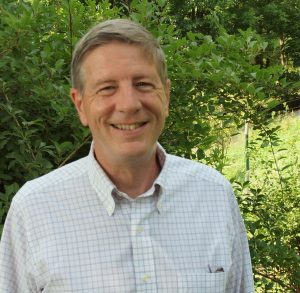 He has been a fellow at the Katz Center for Advanced Judaic Studies at the University of Pennsylvania on three occasions (1995, 2009-10, 2016) and has visited at the Institute for Advanced Studies in Jerusalem in 1997. 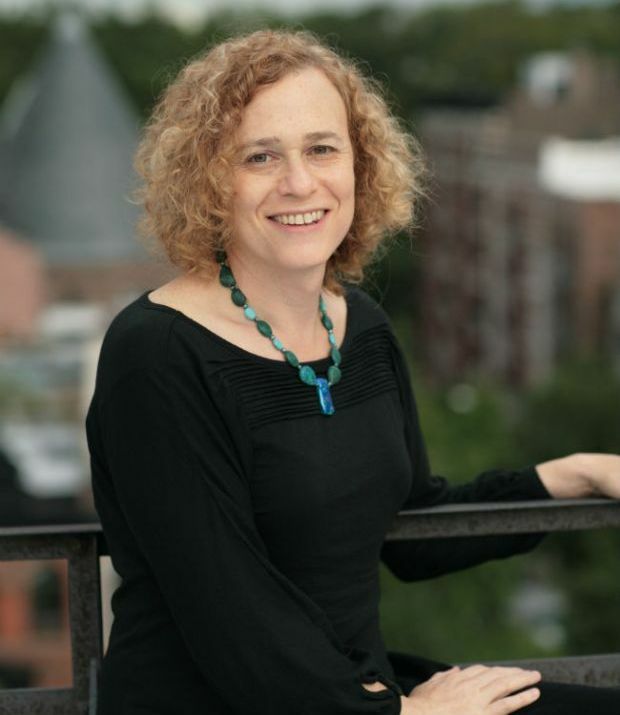 Myers has been a member of the board of the Association for Jewish Studies and a teacher for the Wexner Heritage Foundation. 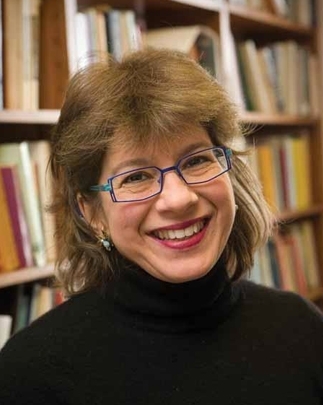 Since 2002, Myers has served as co-editor of the Jewish Quarterly Review. He is an elected Fellow of the American Academy for Jewish Research and a Fellow of the Los Angeles Institute for the Humanities. Parking is available in the North and South garages on campus. Garage rates are $1/hr after 5pm and $2/hr before 5pm. 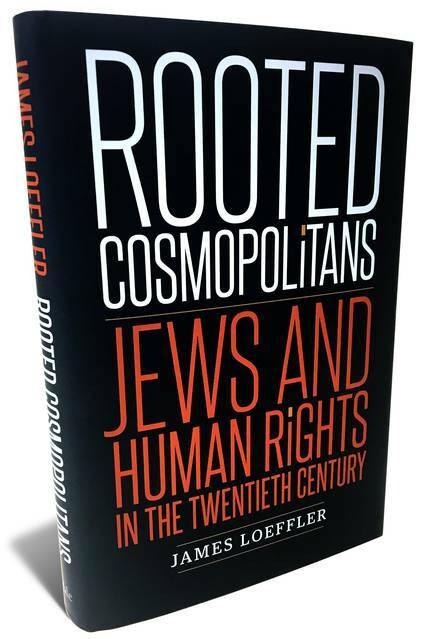 On Tuesday, October 9, Professor James Loeffler will discuss his recently published book Rooted Cosmopolitans: Jews and Human Rights in the Twentieth Century (Yale University Press). The talk will be held from 11:00 am - 12:15 pm, in the Visualization Studio (room 1101) located on level 1 of the Babbidge Library on the UConn Storrs campus. If you require an accommodation to participate, please contact Pamela Weathers at 860-486-2271 or pamela.weathers@uconn.edu. The lecture is free and open to the public. It is made possible by the UConn Center for Judaic Studies and Contemporary Jewish Life, the University of Hartford Maurice Greenberg Center for Judaic Studies, and the UConn Department of Literatures, Cultures, and Languages. We will also co-sponsor his talk on Monday, October 8, from 7:00-9:00 pm at the University of Hartford (200 Bloomfield Avenue, West Hartford) in the Millie and Irving Bercowetz Research Library at the Maurice Greenberg Center for Judaic Studies located in the Harry Jack Gray Center. Seating is limited and reservations are required. Please contact Susan Gottlieb at mgcjs@hartford.edu or 860-768-5018. 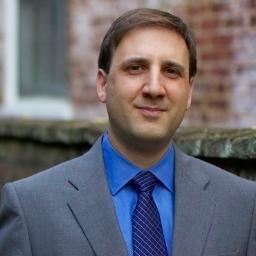 James Loeffler is associate professor of history and Jewish studies at the University of Virginia and former Robert A. Savitt Fellow at the Mandel Center for Advanced Holocaust Studies of the United States Holocaust Memorial Museum. He received his AB from Harvard and his MA and PhD from Columbia University. A specialist in Jewish and European history, and the history of human rights, his publications include The Most Musical Nation: Jews and Culture in the Late Russian Empire (Yale University Press, 2010) which was recognized for several awards, including the Association for Slavic, East European, and Eurasian Studies 2011 USC Book Prize in Literary and Cultural Studies for outstanding monograph published on Russia, Eastern Europe or Eurasia in the fields of literary and cultural studies and the American Society of Composers, Authors & Publishers (ASCAP) 2011 Deems Taylor-Béla Bartók Award for Outstanding Ethnomusicology Book. Professor James Loeffler will discuss his recently published book Rooted Cosmopolitans: Jews and Human Rights in the Twentieth Century (Yale University Press). The talk will be held on Monday, October 8, from 7:00-9:00 pm at the University of Hartford (200 Bloomfield Avenue, West Hartford) in the Millie and Irving Bercowetz Research Library at the Maurice Greenberg Center for Judaic Studies located in the Harry Jack Gray Center. Seating is limited and reservations are required. Please contact Susan Gottlieb at mgcjs@hartford.edu or 860-768-5018. On Monday, April 16, at 4:30 pm, please join us for the annual Academic Convocation on the Holocaust when Yale University Professor Timothy Snyder will present "The Holocaust as History and Warning." The Convocation will be held in the Doris and Simon Konover Auditorium in the Dodd Research Center on the Storrs campus. It is made possible by the I. Martin and Janet M. Fierberg Fund that supports lectures at the Center for Judaic Studies and Contemporary Jewish Life. Co-sponsors include the American Studies Program, the History Department, the Human Rights Institute, the Humanities Institute, the Department of Literatures, Cultures, and Languages, and the Thomas J. Dodd Research Center. Professor Snyder's books, The Road to Unfreedom: Russia, Europe, America and Black Earth: The Holocaust as History and Warning, will be available for purchase after the lecture. For additional information, or if you require an accommodation to participate, please call 860-486-2271 or email judaicstudies@uconn.edu. Every history of catastrophe contains a warning, since it defines causes that may be present in our own time. Too often, the Holocaust is understood only as "memory," which shields us from some of its most important implications. In this lecture, Professor Snyder will consider new authoritarianisms in light of what we still might learn from the past. 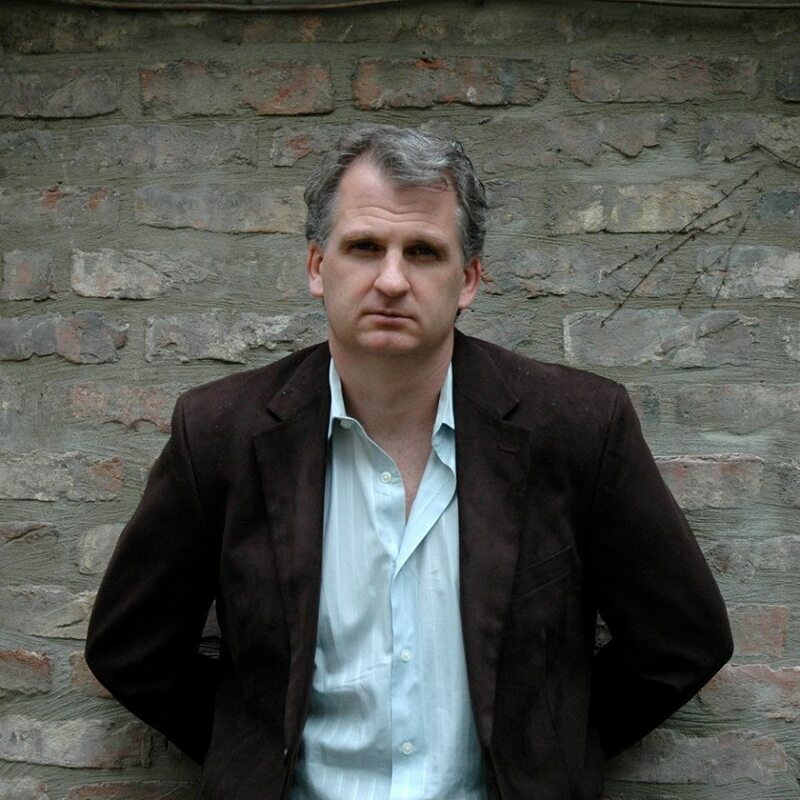 Timothy Snyder is one of the leading American historians and public intellectuals. He is the Levin Professor of History at Yale University and a permanent fellow at the Institute for Human Sciences in Vienna. He received his doctorate from the University of Oxford in 1997, where he was a British Marshall Scholar. Before joining the faculty at Yale in 2001, he held fellowships in Paris, Vienna, and Warsaw, and an Academy Scholarship at Harvard. He speaks five and reads ten European languages. Among his publications are eight single-authored books, all of which have been translated: Nationalism, Marxism, and Modern Central Europe: A Biography of Kazimierz Kelles-Krauz (1998, second edition 2016); The Reconstruction of Nations: Poland, Ukraine, Lithuania, Belarus, 1659-1999 (2003); Sketches from a Secret War: A Polish Artist’s Mission to Liberate Soviet Ukraine (2005); The Red Prince: The Secret Lives of a Habsburg Archduke (2008); Bloodlands: Europe Between Hitler and Stalin (2010); Black Earth: The Holocaust as History and Warning (2016); On Tyranny: Twenty Lessons from the Twentieth Century (2017); and The Road to Unfreedom: Russia, Europe, America (2018). Bloodlands won twelve awards including the Emerson Prize in the Humanities, a Literature Award from the American Academy of Arts and Letters, the Leipzig Award for European Understanding, and the Hannah Arendt Prize in Political Thought. It has been translated into thirty-three languages, was named to twelve book-of-the-year lists and was a bestseller in six countries. Black Earth: The Holocaust as History and Warning (2015) has been a bestseller in four countries and has received multiple distinctions including the award of the Dutch Auschwitz Committee. Snyder was the recipient of an inaugural Andrew Carnegie Fellowship in 2015 and received the Havel Foundation prize the same year. He has received state orders from Estonia, Lithuania, and Poland. He is a member of the Committee on Conscience of the United States Holocaust Memorial Museum, is the faculty advisor for the Fortunoff Collection of Holocaust Testimonies at Yale, and sits on the advisory councils of the YIVO Institute for Jewish Research and other organizations. To learn more, visit Professor Snyder’s Yale faculty page. On Monday, April 24, at 7:00 pm, please join us for the annual Academic Convocation on the Holocaust when Trinity College Professor Samuel D. Kassow will present "Time Capsules in the Rubble: the Secret Archive of the Warsaw Ghetto." The Convocation will be held in the Doris and Simon Konover Auditorium in the Dodd Research Center on the Storrs campus and is sponsored by the Center for Judaic Studies and Contemporary Jewish Life Fierberg Lecture in Judaic Studies, the Human Rights Institute, and the Thomas J. Dodd Research Center. A reception will immediately follow. Attending this event counts toward sophomore honors credit. For additional information, please call 860-486-2271 or email judaicstudies@uconn.edu. 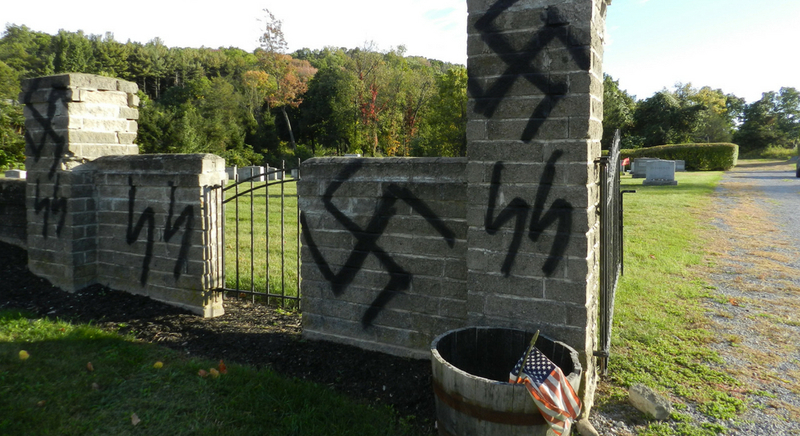 During World War II, Jews resisted not only with guns but also with pen and paper. Even in the face of death they left "time capsules" full of documents that they buried under the rubble of ghettos and death camps. They were determined that posterity would remember them on the basis of Jewish and not German sources. 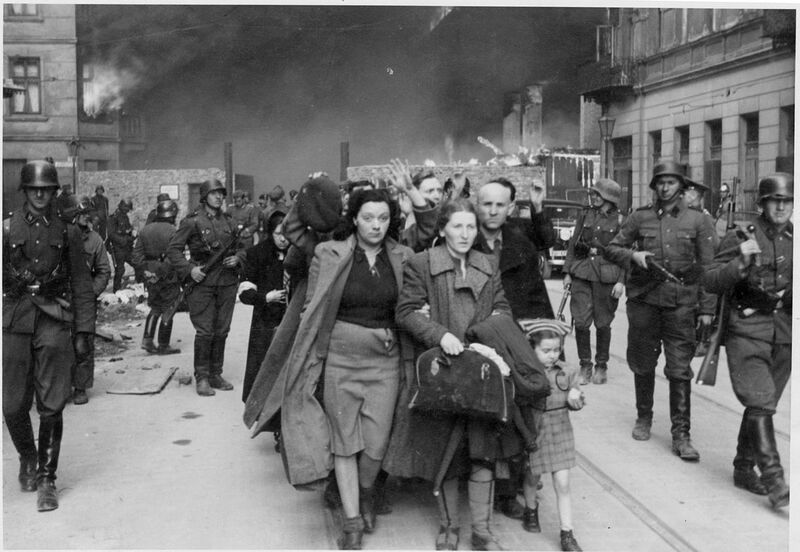 Thousands of documents were buried in the Ringelblum Archive in the Warsaw Ghetto. Of the 60 people who worked on this national mission, only three survived. This will be their story. What began as a collection of documents and attestations clandestinely obtained in order to record testimony of Jewish life in Poland under occupying Nazi forces became, when word of mass killings reached Warsaw, the courageous pursuit of Warsaw ghetto prisoners to bear witness to the Holocaust. 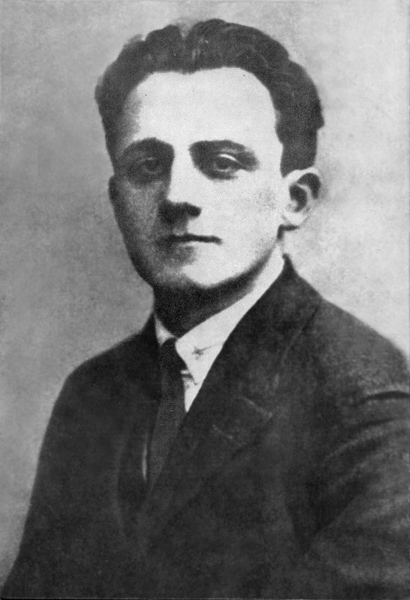 Jewish historian Emanuel Ringelblum established the underground group Oyneg Shabes in 1940, its secret mission to archive Jewish life in Poland by conducting interviews and collecting documentation that included photos, letters, diaries, official government notices, flyers, and posters–all of which served to document and describe life in the Jewish ghetto as well as the destruction of Jewish communities in Poland. Dr. Ringelblum and all but three members of the Oyneg Shabes group perished in the Holocaust, but their testimony remains an incomparable resource for Holocaust study. 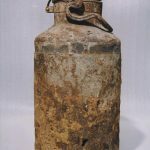 Before the Warsaw uprising, the documents were buried in milk cans and tin boxes in three locations in the Ghetto. Unearthed in 1946 and 1950, two-thirds of the archive has been found and preserved by the Jewish Historical Institute in Warsaw, Poland, and researchers have cataloged and digitized the archive throughout the last two decades. Trinity College historian Samuel D. Kassow, expert on the Ringelblum collection, is the author of Who Will Write Our History? Emanuel Ringelblum, the Warsaw Ghetto, and the Oyneg Shabes Archives in which he documents the efforts taken by Dr. Ringelblum and Oyneg Shabes to preserve Jewish history and resist Nazi oppression. Professor Kassow served as a consultant for the documentary film project Who Will Write Our History, set to release in 2017 and directed by award-winning director Roberta Grossman with Nancy Spielberg as executive producer. The film is based on Professor Kassow's study. For the full story, see Jewish Ledger article "On Location in Poland." Samuel D. Kassow is the Charles Northam Professor of History at Trinity College. He is author of Students, Professors, and the State in Tsarist Russia, 1884–1917 and editor (with Edith W. Clowes) of Between Tsar and People: The Search for a Public Identity in Tsarist Russia. He lives in Hartford, Connecticut. For more details on the Ringelblum Archive, visit the Jewish Historical Institute. We hope you will also join us earlier in the day when the UConn Humanities Institute will be hosting a talk at 4:00 pm with guest speaker Dr. James E. Young entitled "The Stages of Memory: Reflections on Memorial Art, Loss, and the Spaces Between." Click here for full details. Parking is available in the North and South garages on campus. Garage rates are $1/hr after 5pm. Did you know that after 5:00 pm, visitors may park in any on-campus space not designated as reserved, restricted or limited?